A Los Altos native is among three people with California ties and 32 nationally to be awarded a prestigious Rhodes Scholarship and with it the chance to study at Oxford University for a few years. St. Francis High School graduate Alexis Doyle was among the winners announced early Sunday from a pool of 882 applicants who had been nominated by their universities. Doyle is a senior at the University of Notre Dame majoring in biological sciences and minoring in international peace studies, according to Notre Dame News. 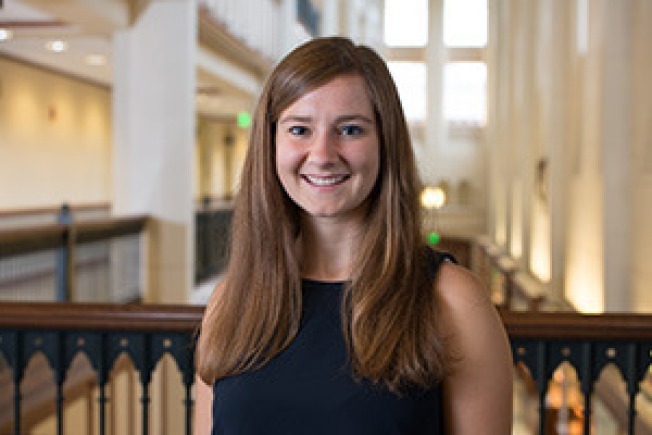 Doyle is a research assistant for a project designing low and no-cost interventions that promote better food choices in school cafeteria environments through the Architecture, Health, and Sustainability Research Group, the university news site says. She also is a resident assistant in Ryan Hall and a teaching assistant for honors mathematics and served as co-president of the Compassionate Care in Medicine Club. The 2013 graduate of St. Francis was a member of the Teen Awareness Program, the National Honor Society and the California Scholarship Federation as well as numerous other clubs, according to her LinkedIn profile. She also was a varsity field hockey and track and field athlete at the Mountain View school. The Rhodes scholarships cover all expenses for post-graduate studies at Oxford starting next October. The other California winners were Nicole A. Mihelson of Fullerton, who plans to graduate from Johns Hopkins University in December, and Oscar De Los Santos, who graduated from USC last year.